At Cash Shop you can get “instant” cash for your cheque. We pride ourselves on paying out in full (less our very competitive fee) on 99% of the cheques we see. Use our Cheque Cashing Calculator below to find out how much you’ll get in cash for your cheque, and how much you’ll save by using Cash Shop, instead of the competition! Cash Shop cashes thousands of cheques each month. Why so many? Because people choose our fast and friendly service, and take advantage of our competitive cheque cashing rates. Just type in the face value of your cheque in the box to the right to find out how much cash you’ll get, and how much more from Cash Shop compared to the competition. Please note minimum Cheque Cashing Fee is £1.51 for cheques of £20 or less; or £2.51 for cheques of £50 or less. A 5.9% Cheque Cashing Fee applies to cheques over £50. In addition, all cheques carry a £2.99 Item Fee regardless of their value. If you are not able to produce sufficient ID, we will still do our best to say “yes!” and cash your cheque, however the process may take slightly longer, and you may be asked additional personal questions. Our cheque cashing service instantly turns your cheque into cash, with an unbeatably low rate of 5.9%, and £2.99 item fee. Your £100 cheque becomes £91.11! Minimum fee £4.99. While we endeavour to cash every cheque, there is no guarantee your cheque will be cashed until we are presented with the cheque, confirm your identification, conduct our checks and have the necessary information to proceed with the transaction. 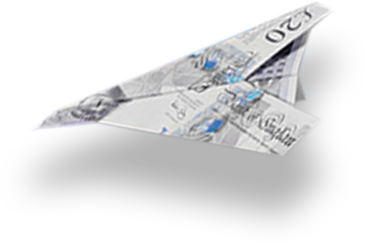 We also endeavour to pay out all cheques in full (after fees) on the spot, however part payments on the day may occur depending on cash holdings and/or the need to place cheques on bank clearance prior to payout. Full payout will be made as soon as possible thereafter. We reserve the right to refuse any cheque.